Expro is one of the largest global providers of perforating services, providing slickline, e-line and tubing conveyed explosives services. Expro work very closely with local logistics and supply organizations to ensure that our dangerous goods practices are aligned, not only with UN directives, but also comply with any country-specific regulations. We provide a wide range of in-house designed and engineered firing heads, including mechanical, hydraulic, pyrotechnic time-delayed and electronic trigger types. We also have slickline retrievable firing heads compatible with coiled tubing. Our firing heads boast a success rate of greater than 99%. At our hub in Broussard, Louisiana, we deliver training for employees, which can also be exported to our operating locations across the world. Expro offers a wide selection of gun sizes (1-11/16” to 7” OD); charge types (deep and super-deep penetrating, big hole/gravel pack, good hole and reactive liner); explosive types (RDX, HMX and HNS); shot densities (shots per foot), and phasing and system configurations (including firing heads). 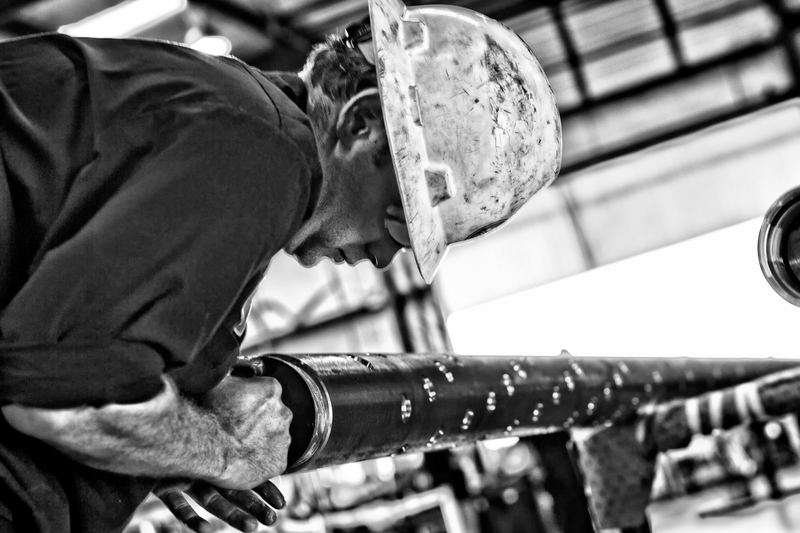 We provide the full range of TCP solutions for safely and effectively perforating production and injection wells where productivity and injectivity performance is paramount. This also extends to gravel packed lower completions where optimised perforating is critical to success. Production wells can be perforated underbalanced on a work string using a packer and selected DST tools (shoot & pull) prior to running the completion. Alternatively the guns can be run below the production packer, then fired with the completion in place. This technique maximises the gun OD and the full benefits of underbalanced perforating, as the perforations are not exposed to potentially damaging kill fluids. Fully redundant firing systems ensure success and a range of mechanical and auto-gun releases can be incorporated to allow for access across the producing zones for future intervention and well servicing. Our range of TCP tailpipe accessories ensures full bore access to the well, after the guns have been released. Our guns can also be configured for through-tubing applications on coil tubing, for both primary or remedial perforating. In the field of completion, our gun systems can be utilised for fracing operations in unconventional wells, where typically, the toe of each lateral is perforated using a TCP gun assembly.